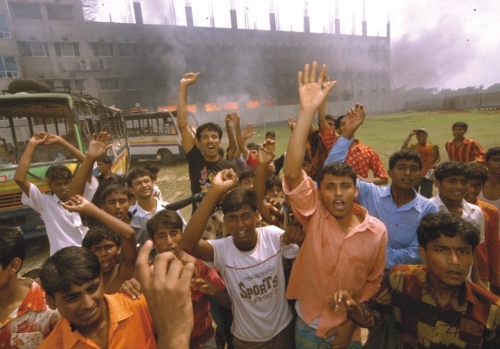 What made the garment workers go on a rampage? Last week's violent upsurge of the garment workers has ended as abruptly as it broke out. More than a week has gone by since then, but questions as to what made the otherwise submissive and compliant garment workers go on a rampage and whether the rioters were really garment workers, remain unresolved. While different labour organisations have interpreted the incident as an explosion of pent-up deprivation and grievances of the garment workers, BGMEA (Bangladesh Garments Manufacturers and Exporters Association) leaders promptly found a neighbouring, competitor country's apparent hand in it.